If you’ve got a kid like mine, it’s a full-time job just keeping up with her every growing interests, many of which happen to be digital. 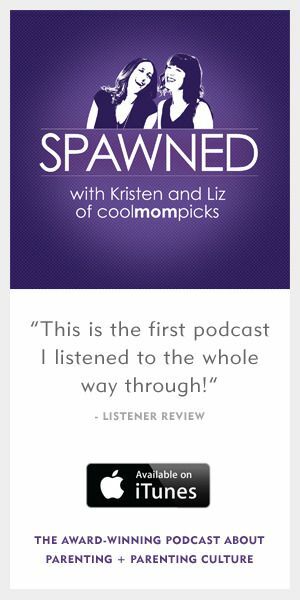 And no, I’m not necessarily talking about gaming and YouTube binge watching. 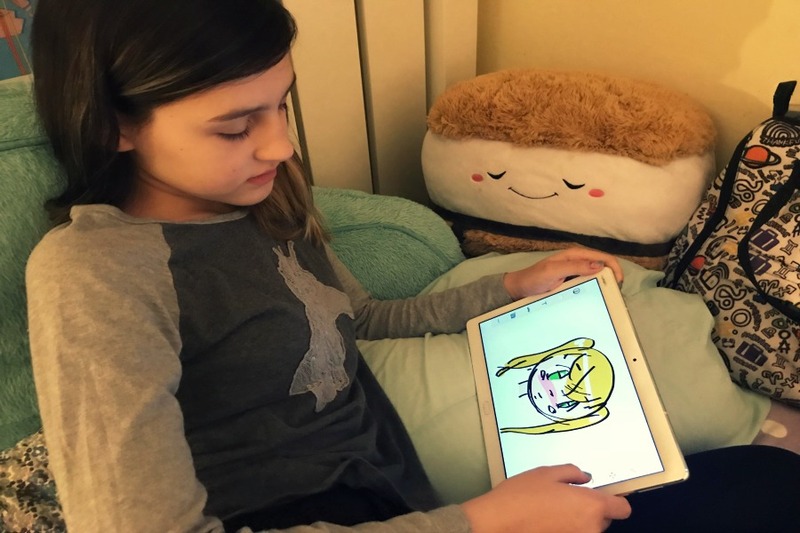 From learning to code to creating digital art pieces on commission, my now 13-year old is definitely in need of a workhorse tablet that can keep up with her, and not cost a fortune. 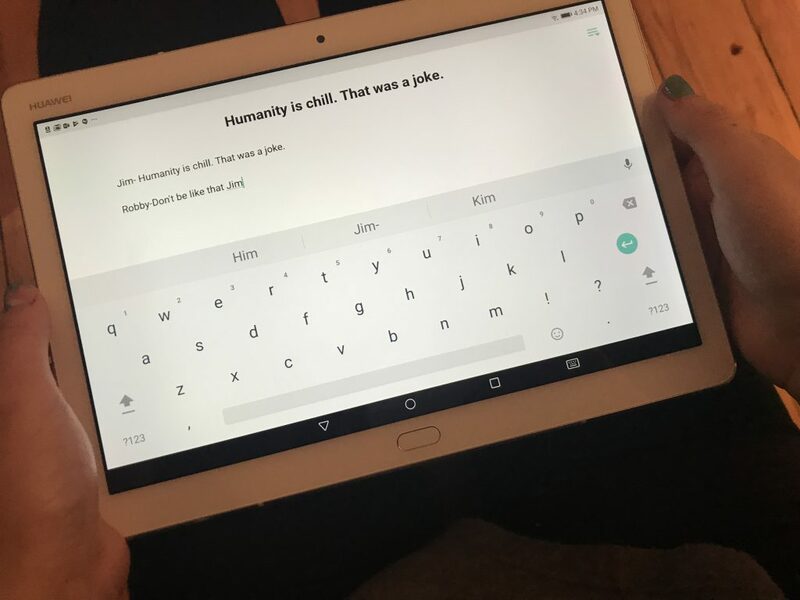 That’s why I was so thrilled to be introduced our sponsor HUAWEI’s MediaPad M3 Lite 10, which is sleek, light, and portable, but still packed with features she can really use. And, it’s got good stuff parents will appreciate too, like a $250 price tag, which, hello holidays! Ah, teen angst. Now in screenplay form. As a budding animator, my daughter has been using Jotterpad to help her write scenes and dialogue, which this app helps her organize. It’s a simple, plain text editor that lets budding author, screenwriters, and playrights just write, without having to worry about formatting. You might think on investing in a Bluetooth keyboard if you’ve got a novelist, but for smaller projects, or the next big cartoon like my daughter’s working on, fingers are fine. Considering the HUAWEI MediaPad features the highly-lauded Harman Kardon sound, your young composer or DJ will flip when they hear their compositions. My daughter has been trying out Walk Band, which lets beginners lay different tracks using realistically sounding instruments. And she’s actually been begging me to add piano lessons to her already full schedule, so this app has been a fun, creative way for her to get her feet wet. She did that with a regular stylus and her finger, not a drawing stylus! The art my daughter has been producing on the HUAWEI MediaPad has been awesome. 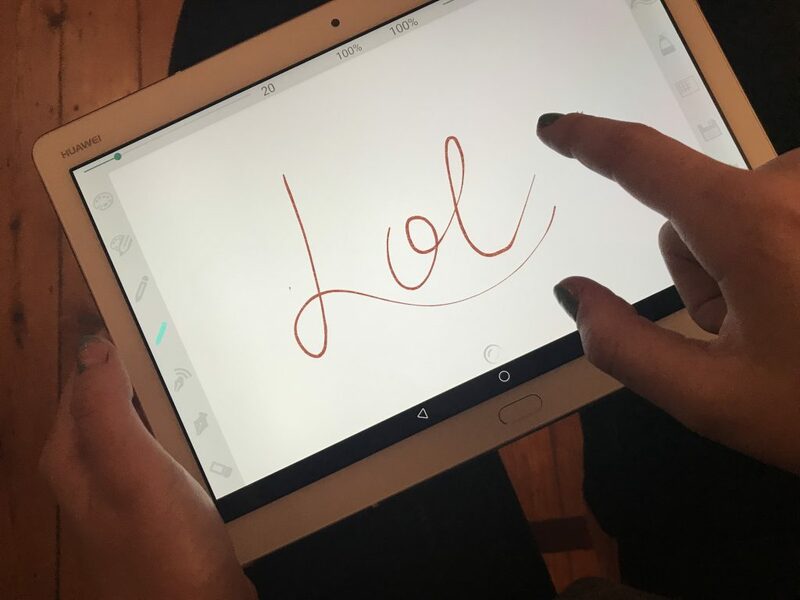 She tried a few different art apps, but landed on Sketch, which is fantastic for artists and photo editors alike. 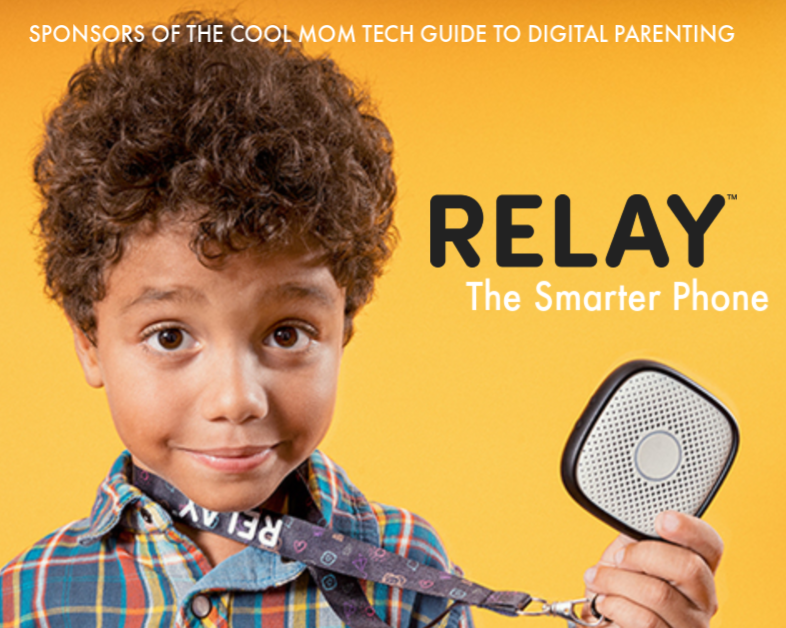 You’ll find all sorts of cool features, whether you’ve got a young Rembrandt or a doodler. And, because the HUAWEI MediaPad is so light and slim, it’s super easy for her to pop it in her backpack to take to school (which she’s allowed to do) to draw in her free time. For kids interested in STEM like mine, Encode is a great option for beginners, as it teachers simple coding concepts through interactive lessons. 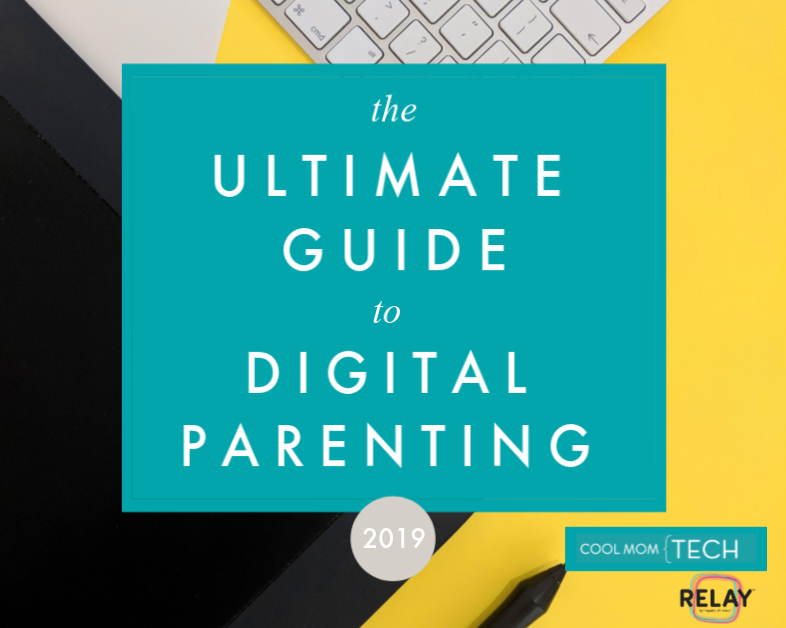 And while there are actually lots of coding apps for little kids, I was glad to find something that skewed older, and really provided my teen with coding skills she can apply to creating her own website or app. And given the HUAWEI MediaPad has an eye-care optimized display, I don’t have to worry as much when I she’s up late at night doing a coding challenge. Calligraphy meets teens in 2017. With the popularity of hand lettering everywhere these days (cough Instagram cough), Calligrapher has been a super cool way for my artistically talented daughter to practice different techniques, whether it’s classical calligraphy to a more graffiti-style writing. Of course, you’ll want to make sure you’ve got a stylus, though it’s amazing what she can do with her fingertip. Turns out my daughter has been using Flipaclip for awhile now, and for good reason. It’s such a fun, simple app for beginner animators, allowing users to use their digital art and turn them into flip books (but with a digital twist, of course). 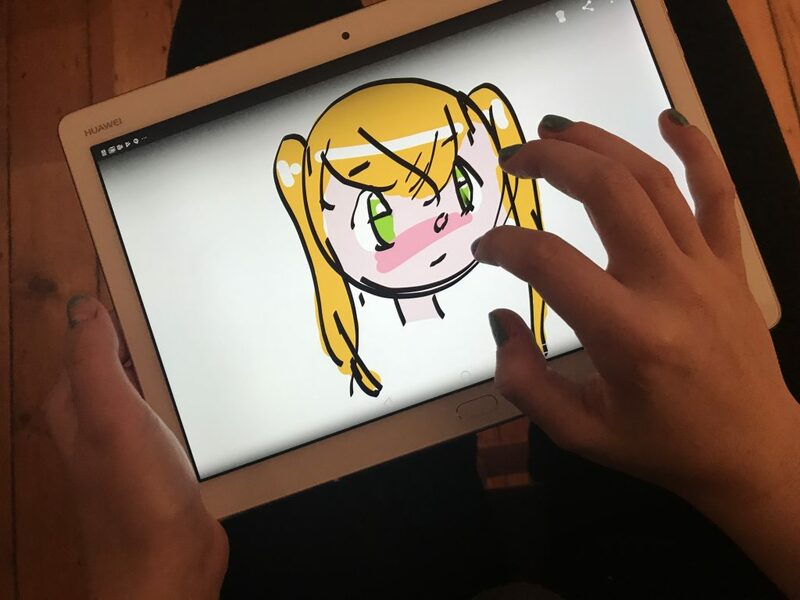 What she’s noticed is how helpful the split screen feature on the HUAWEI MediaPad has been because it allows her to take a look at her art on another screen, while still keeping Flipaclip open. 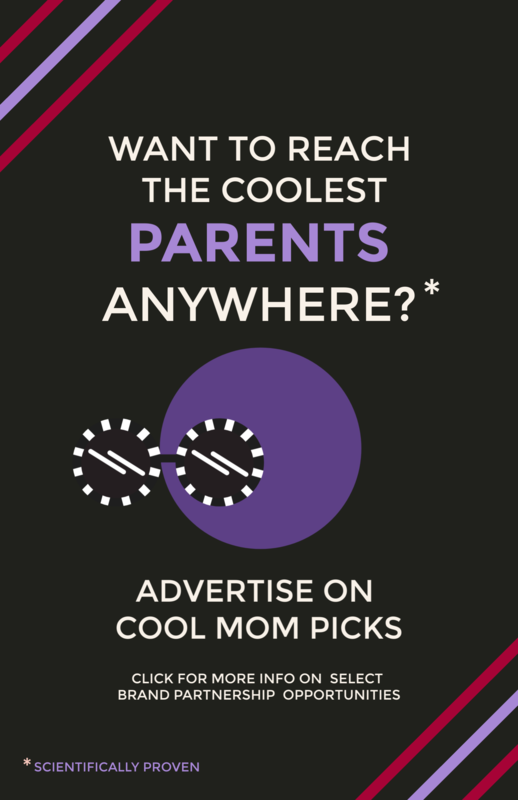 Whether you’ve got a future Spielberg on your hands, or a teen who wants to create some killer social media videos, Powerdirector is definitely the way to go. They can edit everything from GoPro video to the short vids on their smart phone, with all sorts of cool effects, from voiceover to slow mo, and pretty much everything in between. And with the Harman Kardon sound that you’ll get with the HUAWEI MediaPad, watching their creations will feel like they’re on the big screen (or at least, a 10″ screen with surround sound). Want to see the HUAWEI MediaPad M3 Lite 10 in action? 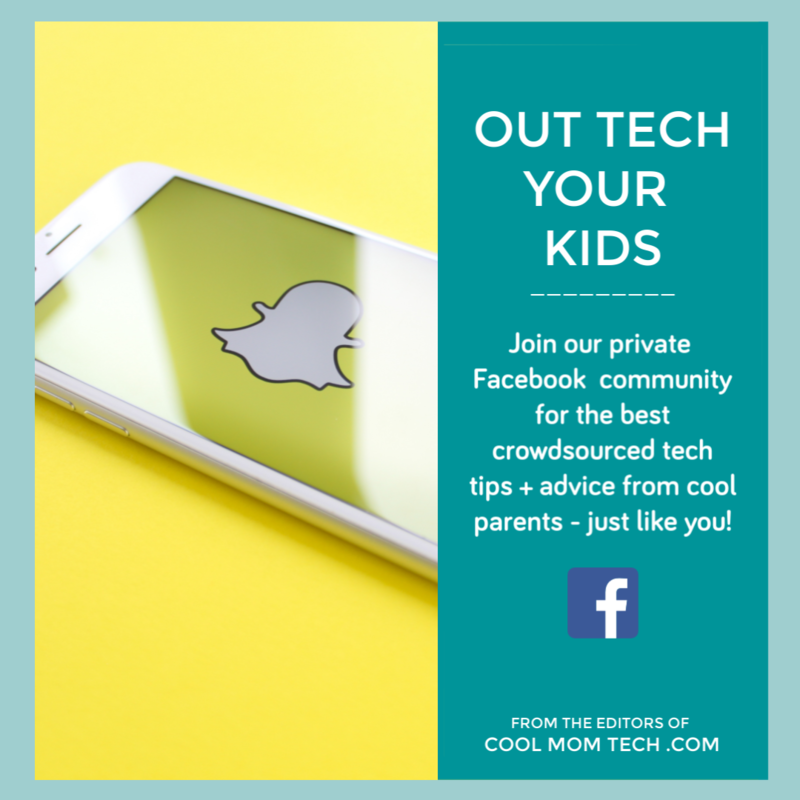 Join us LIVE on Facebook, November 15 (Wednesday) at 8pm EST as we show some of its cool features, along with some of the ways my teen daughter has been using it. Hope you can join us! And, thanks to our sponsor HUAWEI for creating and affordable tablet ($250!) that the whole family can appreciate.